Phosphorous levels in Lake Winnipeg are worse than Lake Erie when people described that lake as dead, a new study has found. A five-year study of Lake Winnipeg shows phosphorus levels are approaching dangerous levels for human health. Dr. Peter Leavitt’s study of Lake Winnipeg, commissioned by the province, establishes a clear benchmark for restoring the health of the lake, Manitoba Premier Greg Selinger said, promising action on preserving the lake. Lake Winnipeg is in serious ecological trouble, a new report says. In an interview, Leavitt said phosphorous levels in the lake must be reduced by 50 per cent. "If nothing's done then you have the potential of having algae that are toxic within the lake, not potentially toxic. There's human health risks associated with liver disease and even potential for cancer in some instances. 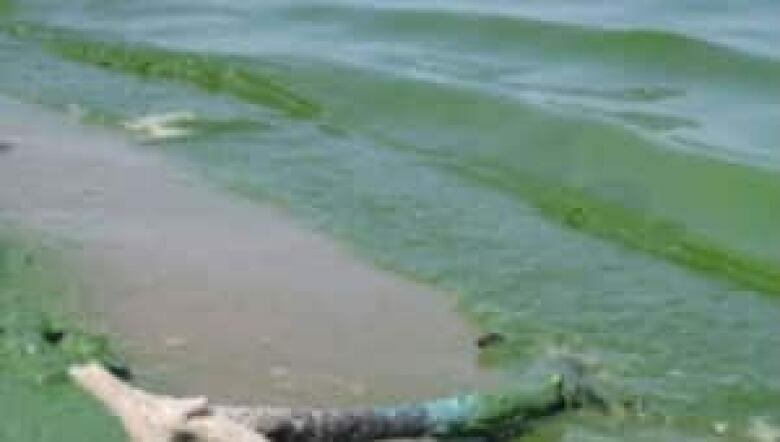 "Phosphorous levels in the lake are now worse than they were in Lake Erie when people were describing that lake as dead," said Leavitt, Canada Research chair in environmental change and society, department of biology, University of Regina. "We’re at a tipping point and if something isn’t done now, the consequences will be dire," he predicted. Increased phosphorous levels are entering the lake from livestock farming, pollution from cities and through wetland loss. "It’s the challenge of the next decade," said Dr. David Schindler, Killam professor of ecology, department of biological sciences, University of Alberta. "Large reductions in phosphorus loading are necessary to save Lake Winnipeg and for Manitoba’s sustainable development," said Dr. Hank Venema, director of the International Institute for Sustainable Development’s Water Innovation Centre. "Like potash, phosphorus is an increasingly scarce and strategic resource essential to world food security, which should be intercepted, recycled and transformed into high-value products rather than allowed to foul Lake Winnipeg," said Venema. "We all have a part to play if we’re going to stop the death of Lake Winnipeg; the stakes are just too high," said Selinger.